Next Paint Party Painting | "A Place for Learning"
The next 1st Saturday Paint Party is December 6th at 2 pm. This time is an hour earlier than usual as this is the same day as the Christmas Parade so we need to start early as the streets will be blocked later in the day. 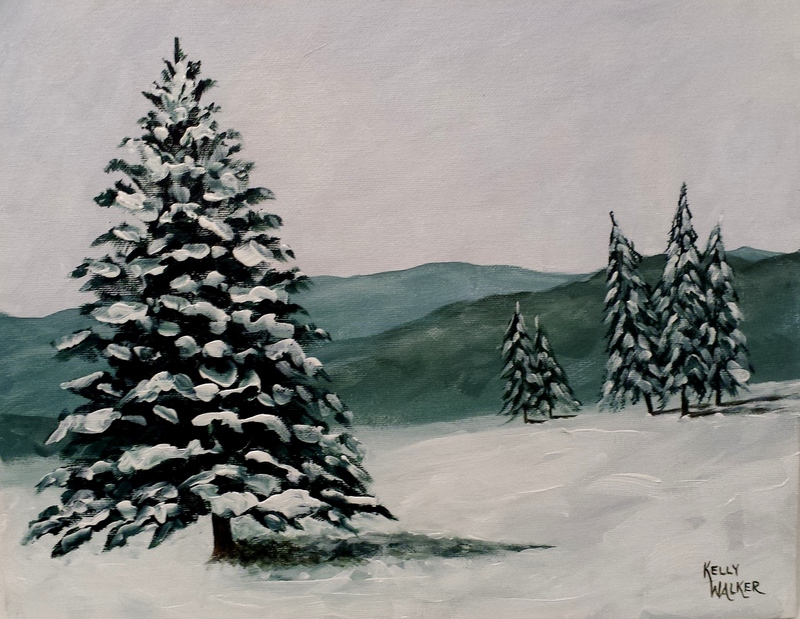 Come on down and join us to paint this lovely winter scene and enjoy the Parade. Contact kwalker@doubledogdesigns.com to register.